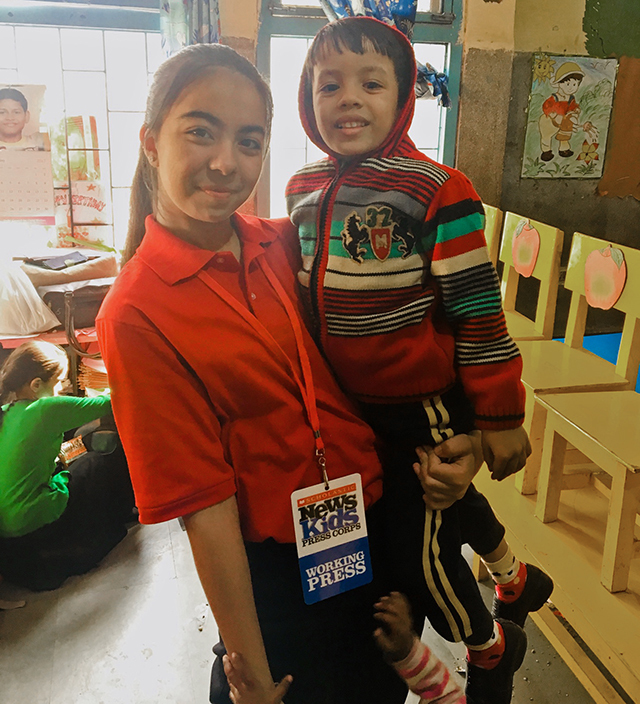 Giving Back: A Family Tradition | Kid Reporters' Notebook | Scholastic Inc.
Ananyaa visits a child at an orphanage in Delhi. Children around the world love all types of family activities, whether it’s Friday night movies, bedtime stories, or holiday celebrations. Some traditions have been handed down for generations. Others may be relatively new. Either way, traditions are a great way to bring families together. There is one special tradition that my family and I particularly enjoy. Each month, we visit an orphanage in Delhi, not far from where we live. I first visited an orphanage six years ago. My father, Vikram Chopra, started the tradition. It allows us to spend time together as a family and to give back to our community. Regular interactions with hundreds of children enable us to get to know them better. We sing, dance, and play video games together. The children always await our visits. “Teaching these young ones to read and write has been [inspiring] and promises a better and brighter India,” says Lisa Solomon, an orphanage volunteer. It’s never too late to create new family traditions of your own.